Our top selling 2-cycle oil. A real bonus for Snowmobile and Watercraft owners. Best price and most popular order is the 4-gallon case which is 4-single handy gallons. Customers never switch back! Call 1 800-579-0580 for our special over the phone price. 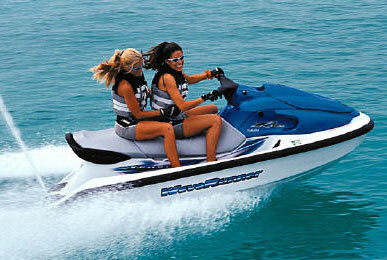 Stock up before the start of Jet Ski season and save. We will not be beat on price with multi case buys as this has become one of our best sellers. 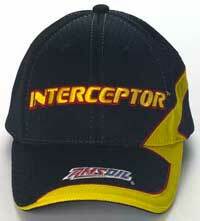 The latest - Interceptor - proven to be the best choice over OEM! Printable Product Data Sheet (PDF) containing everything you need to know on AMSOIL Interceptor! 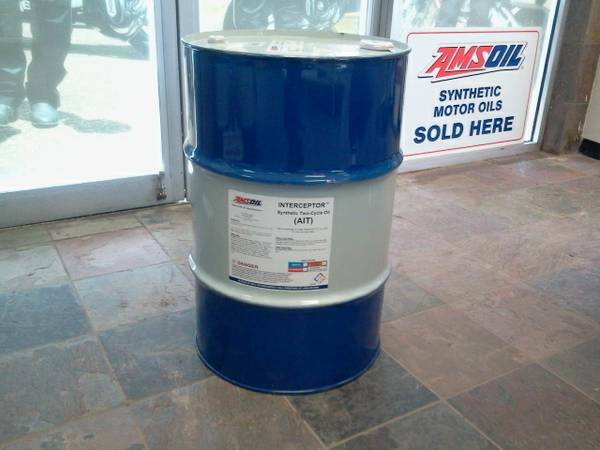 INTERCEPTOR Synthetic 2-Stroke Oil is Warranty Secure,™ keeping your factory warranty intact. INTERCEPTOR is a high-performance replacement for vehicle manufacturer-branded products and is also backed by the AMSOIL Limited Warranty (G1363). For details, visit www.amsoil.com/warrantysecure. Online Store and test study PDFs. Recommended oil for Bombardier & Skidoo. Two-stroke powersports equipment is meant to be ridden hard. Repeatedly pushing a machine to wide-open throttle during all-day, aggressive riding, however, takes its toll on the engine. INTERCEPTOR Synthetic 2-Stroke Oil is specifically designed for reliability and longevity in hard-ridden snowmobiles, dirt bikes, ATVs and PWCs, helping enthusiasts spend more time riding and less performing maintenance. Its low-smoke, low-odor properties help ensure riders won’t be “smoked out.” INTERCEPTOR is compatible with nearly all other two-stroke oils and is recommended for most makes and models of two-stroke powersports equipment, eliminating the need to purchase and store multiple types of oil. It’s an oil engineered to be pushed as hard as the equipment it protects. AMSOIL INTERCEPTOR Synthetic 2-Cycle Oil is engineered specially for power sports applications and those engines equipped with exhaust power valves. It contains the finest synthetic ester based oils and additives available for exceptional cleanliness properties. INTERCEPTOR is the result of years of snowmobile field testing in the Rocky Mountain region, which provided some of the most severe conditions possible. 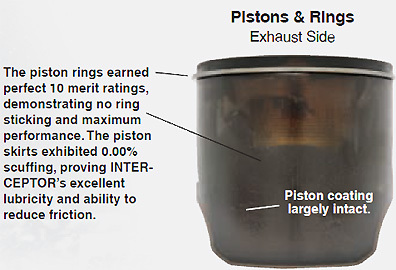 INTERCEPTOR excels at controlling exhaust valve sticking and provides outstanding overall lubrication properties. Bombardier Recreational Products (BRP®), the manufacturer of Ski-Doo snowmobiles, leads consumers to believe that only its more-expensive XPS-2 Synthetic 2-Cycle Oil is capable of providing the required level of protection. In fact, the snowmobile arrived from the factory with an attached notice recommending XPS-2 Synthetic 2-Cycle Oil exclusively. Note: This product has now been around for several years and for our new customers - Yes it significantly out performs and keeps your exhaust power valves working longer between servicing. Nothing compares for 2-cycle cleanliness and savings on maintenance! Listen!! Most people buy this in LARGE amounts. I can save you a lot of trouble. Just call me directly 800-579-0580 for wholesale or follow the links below for the link to become a preferred customer. If you are in a hurry and want to order online visit our new Online Store! (Use the "Preferred Customer Save!" link in the left column to add to the cart then you will see the dealer/PC cost pricing). If you want to order this or any AMSOIL product at wholesale online or by phone, Call me and let us know your intentions. I can set you up for online ordering at cost if you have trouble finding where to do that. AMSOIL INTERCEPTOR Synthetic 2-Cycle Oil is formulated with a proprietary blend of the finest synthetic base oils and additives available today. This unique AMSOIL chemistry represents a breakthrough development in the field of two-cycle engine lubrication.The backbone of AMSOIL INTERCEPTOR 2-Cycle Oil is a specially developed molecularly saturated synthetic base oil. This, combined with a potent additive package, ensures exceptional lubricity, cleanliness and optimum clean-burning characteristics. Specifically formulated to inhibit exhaust power valve sticking, ring sticking and engine wear in high-performance powersports applications. It contains synthetic base oils that increase lubricity and provide exceptional wear protection for pistons, cylinders and bearings. 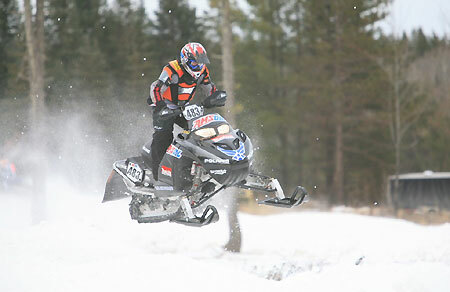 INTERCEPTOR was installed in a 2012 BRP® Ski-Doo® Renegade X snowmobile equipped with a Rotax E-TEC 800R engine. Following 50 hours of severe-duty engine dynamometer testing designed to simulate a full season of real-world conditions, the engine was disassembled and rated for deposits, wear and other distress by an ASTM calibrated rater. Each component earned a merit rating on a scale of 0 to 10 (with 10 representing no distress) or a percentage rating (with 0 percent representing no distress). Results prove INTERCEPTOR excelled at inhibiting deposits and wear. See the complete dyno results at technical_study/proof. 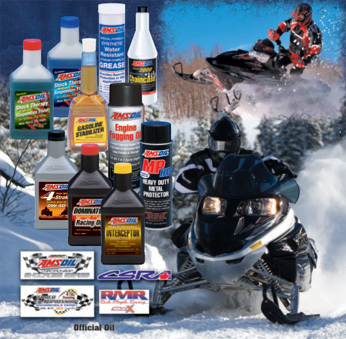 AMSOIL INTERCEPTOR Synthetic 2-Cycle Oil is recommended as an injector oil or at a 50:1 mix ratio in carbureted, electronic fuel Injected (EFI) and direct fuel injected (DFI) snowmobiles, personal watercraft, motorcycles, ATVs and jet boats, including, but not limited to, those manufactured by Bombardier®, Sea Doo, Ski Doo, Yamaha®, Arctic Cat®, Polaris®, Kawasaki®, Suzuki® and Honda®.It is recommended wherever API TC and JASO FC two-cycle oils are specified. INTERCEPTOR is compatible with and recommended as a replacement for all mineral and synthetic manufacturer branded two-cycle oils. For top performance, mixing is not recommended. Best choice for Sea Doo, Ski Doo, Wave runner, and Rotax engines. 400,000 Miles of Severe Snowmobile Field testing (Team of sleds) With No Deposit Buildup, Power Valve Sticking, Ring Sticking or Engine Failures. Subjected to adverse field testing conditions in the Rocky Mountains, including long trail rides, high RPM powder riding and steep hill climbs, AMSOIL INTERCEPTOR demonstrated superior wear protection and outstanding deposit control. Owners of the infamous hard working fleet - Yellowstone Yamaha teamed with AMSOIL Vice President Alan Amatuzio for trials using Interceptor. Proprietor Bill Howell commented on the superior operation and comments by guests regarding performance and low smoke odor. What the heck are Power Valves? Why Interceptor? Don't forget our Synthetic Chain case Oil - Known for trouble free service in the cold. Costs less than the OEM. Opportunity doesn’t stop with products. As you will read in this issue, we back up our products with technical support. We make every attempt to arm our Dealers with tools that validate our product performance. The extensive testing we conducted on AMSOIL INTERCEPTOR 2-Stroke Oil is documented in our technical paper, A Study of INTERCEPTOR Synthetic 2-Stroke Oil for Ski-Doo Rotax E-TEC Engines . This piece is the most comprehensive study I have seen on two-stroke oil. I can’t envision the snowmobile owner who won’t consider using AMSOIL INTERCEPTOR after reading this detailed document. Extensive testing was also documented in the diesel market, where fuel economy is critical. On the heels of a study released recently which demonstrated that AMSOIL lubes provided a 6.54 percent increase in fuel economy in on-highway service (Diesel Fleet Fuel Economy Study), we have now released a study revealing that our products provided a 3.15 percent fuel economy increase in stop-and-go city driving. That represents significant savings. You can see the details on page 10 of this issue. These studies, along with all of the others we have done, deliver conclusive proof that AMSOIL lubricants provide real, meaningful value to consumers. At AMSOIL, we don’t just talk the talk. We remain committed to arming Dealers with both outstanding products and concrete proof of performance. No company does it better. 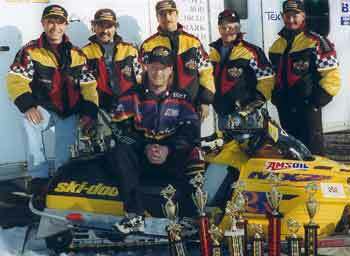 Be advised - Ski-Doo snowmobile dealerships caught lying to customers and breaking federal law at the same time. From time to time some original equipment manufacturers have been caught advising customers that the use of oils other than the OEM branded oil will void customers warranties. Of course this is not true as dictated by the Magnuson-Moss Warranty Act which states, in essence that any oil conventional or synthetic which meets correct viscosity grade and service requirements can be used in the application in question. the only circumstance under which a manufacturer can require the exclusive use of a particular oil is if that manufacturer provides the OIL FREE OF CHARGE! (or if the application is not intended for consumers). 2-stroke engine oils may cause severe engine damage and may void the limited warranty.” It went on to say that there was “no known equivalent” to the branded Ski-Doo lubricant on the market. Needless to say this is all total nonsense. AMSOIL wasted no time in setting the record straight. AMSOIL Attorneys advised the staff at BRP - Bombardier Recreational Products Inc. that their warranty language “violates both federal and state laws regarding warranties and deceptive/unfair practices.” The chaps at BRP agreed to modify the language in its snowmobile owners’ manual. warranty.” Other language in some Ski-Doo operators’ manuals said that there was “no known equivalent” to the branded Ski-Doo lubricant on the market. law which prohibits manufacturers from requiring the use of a branded service/replacement part, unless the branded service/replacement part is provided free of charge. AMSOIL pointed out that its line of synthetic lubricants meets or exceeds the engine performance requirements for both 2- and 4-cycle engines used in power sports equipment. 1. It will no longer say that use of oil other than the Ski-Doo branded product may void the warranty. 3. It will no longer comment on the availability of equivalents to the Ski-Doo brand oil(s). AMSOIL is publishing this notice to inform the public of this significant change in Ski-Doo’s warranty policy and to assure its customers the AMSOIL line of synthetic lubricants meets or exceeds the performance requirements of their snowmobile engines and to insure that snowmobile owners do not mistakenly believe that use of AMSOIL lubricants will place their warranties at risk. Although BRP did not come right out and admit they were in violation, they obviously conceded the issue and I appreciate the initiative they are taking to change their oil recommendation language. We can expect that issues like this will continue to surface, and our Dealers and Preferred Customers can be assured that the company will remain diligent in its effort to keep the playing field level. Purchasing decisions should be made on product quality, and any effort, whether intentional or not, to drive those decisions by any other means is simply unacceptable. At AMSOIL, we let our products do our talking. Keep in mind that although the interceptor meets API TC, this specification is outdated and becoming obsolete. The primary and more recent specification to look for is JASO FA, FB and FC standards which apply to air-cooled motors found in transportation, hand held power equipment and other small air cooled motors. These standards address improved cleanliness, decreased smoke, emissions and lubricity .AMSOIL goes a step further with Interceptor. This product is designed to combat the problems associated with power valves and expensive OEM 2-cycle lubricants. The AMSOIL Interceptor oil (AIT) if formulated from premium-quality synthetic oils and a potent additive package, Interceptor provides the ultimate in clean engine operation. This two-stroke formula effectively prevents plug fouling and significantly reduces wear on cylinders, pistons and bearings while also minimizing smoke and odor. Exhaust Power Valves are devices installed in the exhaust port that increase or decrease the size of the exhaust port during the operation of the motor. This system increases the efficiency of the motor and expands its power band. 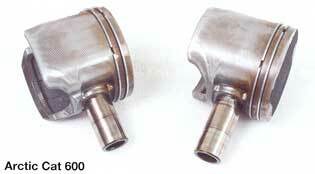 The motor produces more power, uses less fuel and produces fewer emissions. 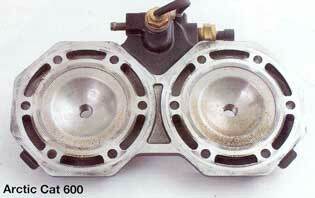 Personal watercraft, motorcycles and snowmobiles commonly use these types of engines. In the past, these valves required routine maintenance. Carbon and soot build-up on the valves caused them to stick. If the valve sticks, the motor looses power. The ash type chemistry used in AMSOIL Interceptor 2-cycle injection oils are very potent and limit the carbon deposit formation. Proper amounts of ash are critical and provide excellent results. #1 the Amsoil Quickshot SE for the fuel - prevents water separation and ethanol problems throughout the entire fuel system - Product of the year a SEMA 2010 by the way! Generally save $10 to $20 over Bombardier XP S II per gallon! Call or email for price. You will be quite pleased. Or buy this and all other AMSOIL Products factory direct at wholesale. Read about that on our Preferred Customer signup page..From the AMSOIL racing blog:The AMSOIL Duluth National Snocross race now a week away and the last minute preps are being tended to. In Aurora, Minn., Team AMSOIL owner Steve Scheuring is set to unveil a three person trailer this year. Back is Winter X bronze medallist DJ Eckstrom and fellow pro rider Shaun Crapo. New to the team in 2008-09 will be semi-pro rider Ryan Carey (left). The sleds will all get a new look and the final prep works is being done to the sled this weekend. As for the AMSOIL Duluth National, the track crew has been working for weeks to build enough snow for the redesigned track that will now stretch down one of the ski hills at Spirit Mountain. You can check on the snow conditions at Visit Duluth. AMSOIL is also the title sponsor for the reformed ISOC series. The national tour will be known as the AMSOIL Championship Snocross Series and will hold races in Minnesota, Wisconsin, Michigan, New York and Quebec. Below is the commercial for the AMSOIL Duluth National. Ticket information can be found at http://www.visitduluth.com/. Driver: Scott Clark Racing: Professional Oval Track Snowmobile Racing World Series Champion in Stock 550 and Pro Stock 440 "After some testing on the snowmobile, AMSOIL additives were put in and contributed to better speed performance and quicker times. The other products, such as lubes and grease, worked exceptionally well. They are superior to any other that we've used. The grease was on all suspension parts of the snowmobile as well as the fifth-wheel hitch and our truck. We put the engine additive in the truck, which made it run cooler and, most likely, will prolong the life of the engine. The AMSOIL spray lube was used when cleaning the clutches. We found many performance gains." Amsoil 2-cycle in Colorado Springs.